Add meat, herbs, spices, and liquids to a pouch. 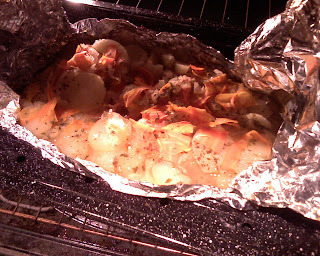 Cook 350 F for one hour. Done!